Permanent Make Up – Permanent make-up is a form of cosmetic tattooing also known as micropigmentation. Pharmaceutical grade pigments are applied into the second layer of the skin to create beautiful colour that resembles perfectly applied make-up. Permanent make-up is exactly that – permanent! The colour will fade over the years so a top up is recommended every 18 months to keep the colour looking fresh. Permanent Eyebrows – Eyebrows frame your face and when done correctly they can appear to lift the whole eye area giving a more youthful appearance giving beautiful results without the need for surgery! This is a perfect treatment if you constantly have to use eyebrow pencil to fill in sparse or non- existent brows. You can choose from a natural textured hairstroke or a soft pencilled look. Permanent Eyeliner – This is a perfect treatment for those who feel bare without make-up. This treatment will enhance the shape of your eyes giving definition, contour and fuller, thicker looking lashes. 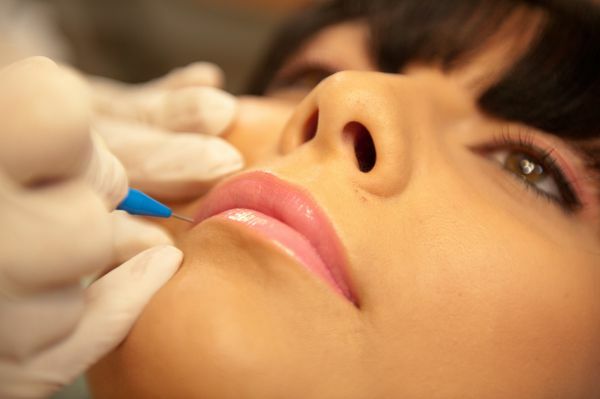 Permanent Lips – A perfect treatment for those wanting to add colour, definition or fullness back to their lips. This treatment is a perfect choice for those who suffer with their lipstick bleeding into fine lines around the mouth. You can have a natural look or can be as dramatic as you wish.